Video translation is booming. Here, LINGUIST looks at what’s driving its remarkable growth and how translators can leverage its potential. Much of the today’s online content comes in the form of video, which by 2020 is projected to account for 82% of all internet traffic, up from 70% in 2015. With many companies doing business globally, a lot of this content needs to be localised and translated to suit different cultures. Much of this video content is on YouTube, which, as early as 2013, prompted the comparison that if it were a country — with its one billion netizens — it would be the third most populated, after China and India. These days, 80% of YouTube traffic is generated outside the United States. As massive as YouTube is, though, multimedia content exists elsewhere as well. Video games, for instance, are highly lucrative for translators who have a good feel of the local gaming culture. Their work can be invaluable for the translations and cultural references needed to maintain the feel of the game while increasing its appeal to local gamers. It is very challenging work and involves a healthy collaboration among translators, editors, marketers, and developers. Going beyond videos as entertainment and recreation, many of today’s education and training organisations also use localised video and multimedia materials in their programs. With the goal of delivering course content that reflects the region or country where it will be delivered, many providers work closely not only with trainers, but also with translators. Responding to this ever-growing need for localised content, production companies now offer localisation services for corporate training videos, games, training courses, and advertisements. 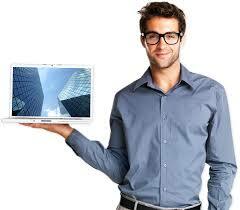 These developments present a large number of viable business possibilities for translators. There are exciting opportunities to expand translation services to include voice-overs, dubbing, script translations of source text, subtitling, localised on-screen text, and overall cultural assessment of multimedia content. The opportunities are both plentiful and varied.